Sorry it has been so long since my last post, but life has been a little hectic, but in a good way :). I have something very exciting to share with you all today! I asked my friend, Stephanie, a while ago if she would share her fitness journey with me, so I could share it with you! She is an amazing young lady, she volunteers, is a nutrition student, avid gym junkie, clean eater and most important is a beloved friend! I wanted her to share her journey because she is one of the people who have motivated me during my entire fitness journey, and I want my blog to be a place where people can share their stories, journey’s and come to be motivated! So I would like to give Steph a HUGE thank you for sharing her journey with not only me, but everyone that reads :). Here is her story…. “First of all, I was so honored when Tiff asked me to write about my journey! I know for myself, I would buy fitness magazines and healthy eating magazines all the time, but wasn’t putting any information into actual use. I would read the magazines and just think pff, that’s impossible, if I could have a good dream that’s what I would like to look like. I would go to the gym, do cardio for an hour and a couple of minutes of abs, but that really wasn’t getting me anywhere. Someone special came into my life just over 5 years ago, and that made all the difference. She let me tag along for work outs and became my role model. She got me into the weight room…finally! That was the beginning of my addiction. I had another friend in Edmonton that I would tag along with for workouts. Being a male, he gave me no pity when I said it was “ too heavy”, or I was ‘ too tired”. That was probably the best kind of partner to have at the gym, one that wont let you give up. We were working out one day, and saw this women powering out chin ups like they were nothing! I stood and just stared at her, and was told she was doing a fitness competition. At that exact moment I agreed I was doing one, and my friend introduced me to who would be my new fitness coach, Bobby. Thank you again Steph for sharing your journey! Her story goes to show you that with a lot of hard work and commitment, you can achieve amazing things! If you have any questions for Steph, please don’t hesitate to ask! Now for a recipe I have been dying to share! 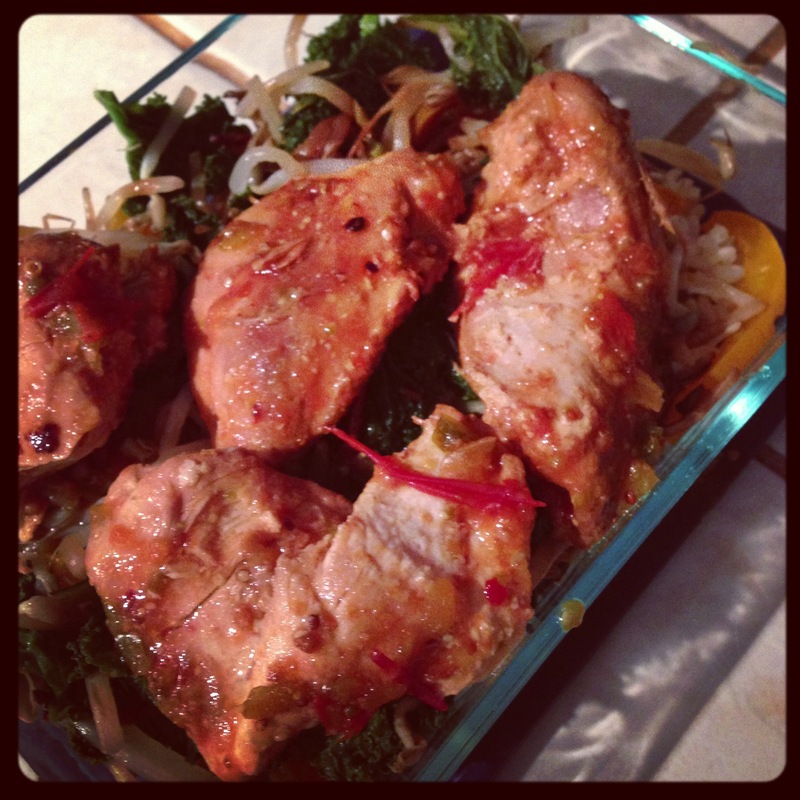 It is similar to my Salsa Chicken recipe, but has a little twist to it! I love meals that are quick, easy, delicious and also family friendly. This is where the Crock Pot comes in. It is a time saver and creates a delicious dish with minimal work! Here it is! 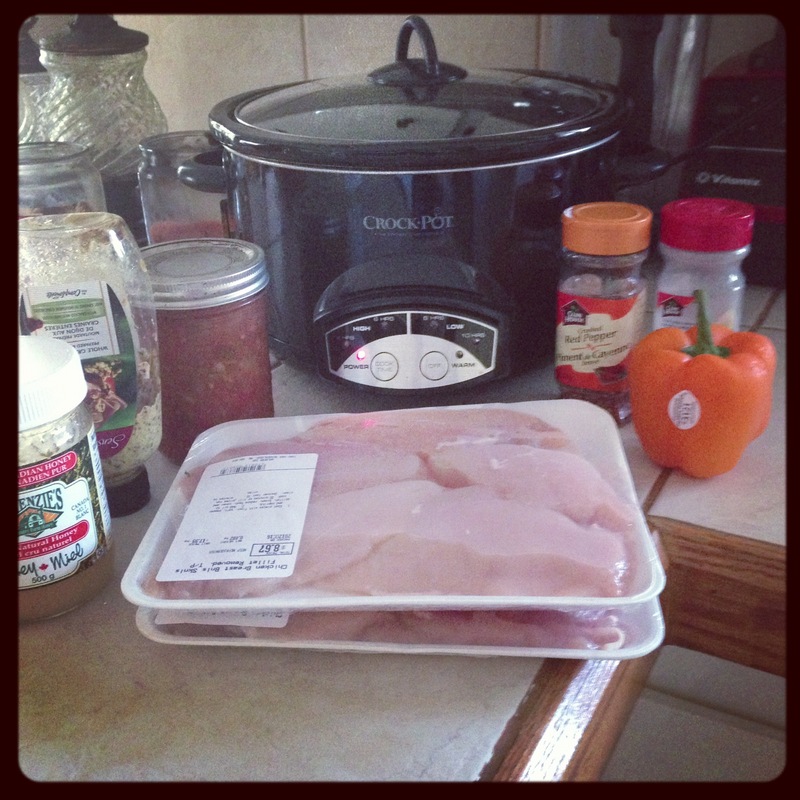 Place all ingredients in Crock Pot and cook on low! It’s as simple as that! I wish I would have made more, because it is delicious! If you have Crock Pot recipes that have your family ranting and raving, please share them with me!! I hope you all have wonderful night, and keep it tight :). What’s your workout for tomorrow????? MOTIVATION MONDAY: Preparing is the Key to Success!